Beacon Health is committed to helping our clients become active and productive members of our community. Our mission is to provide comprehensive health services to Lake County residents with mental illness and substance use disorders. Our culture is built on the idea of maintaining the dignity of our clients and improving the quality of their lives and of those in our community. 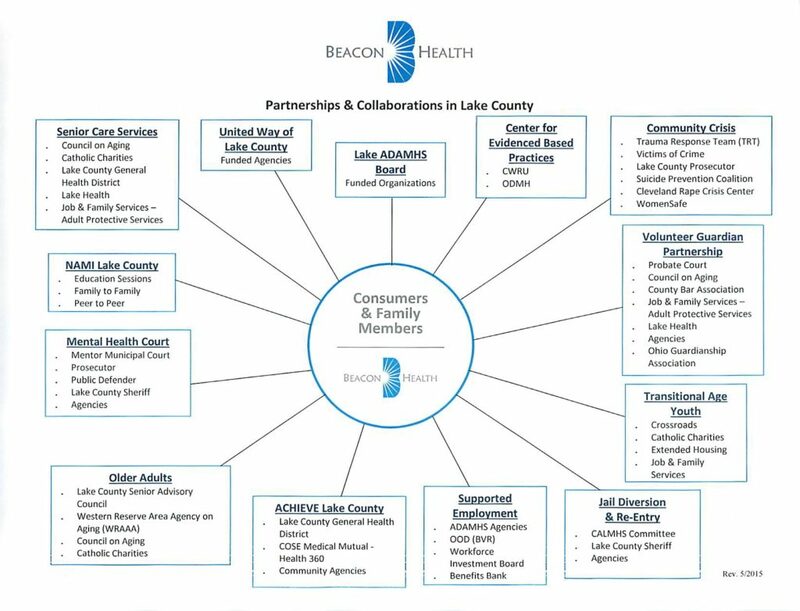 Support from a diverse mix of funding sources like the Lake County ADAMHS Board and United Way of Lake County helps ensure that Beacon Health clients receive the best mental health and substance abuse disorder treatments.